It's wet, it's muddy and it's cold in Columbiana, Alabama. 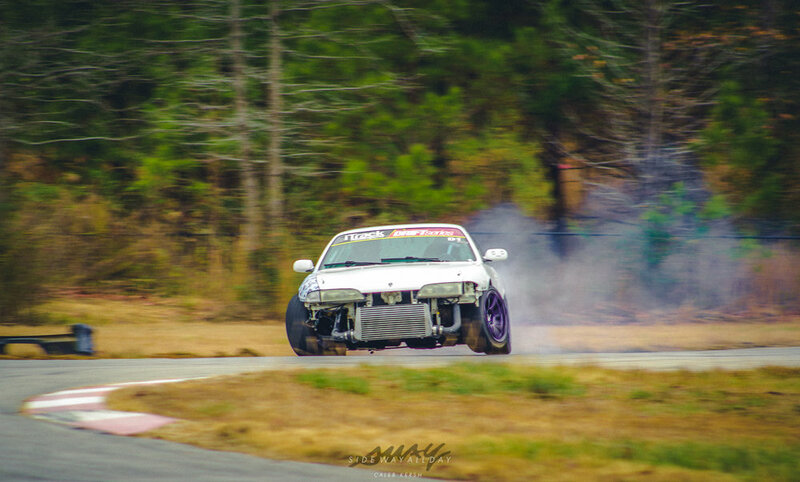 But, there's a small kart track open for drifting and with the 2016 drifting circuit coming to a close, it didn't stop me from heading down for some skids before the winter. 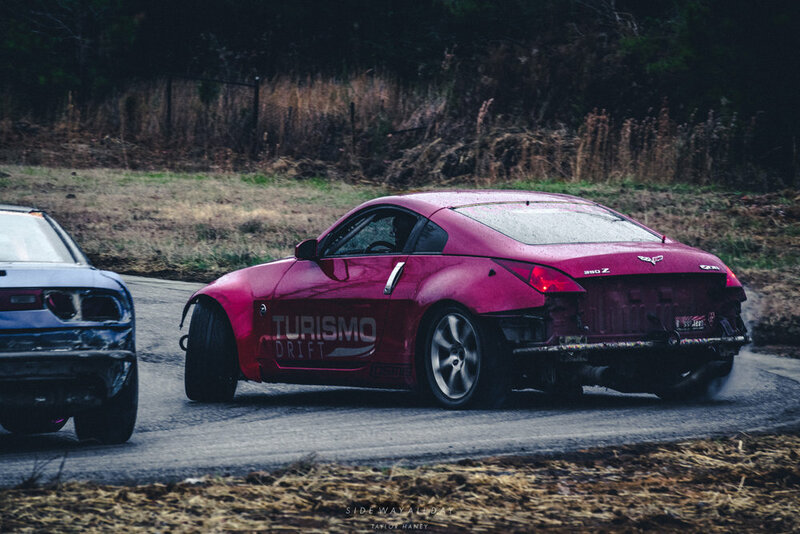 Just south of Birmingham, iTrack Motorsports hosted a drift event and what could be the closest thing I've come to mud bogging at Midpond Circuit. 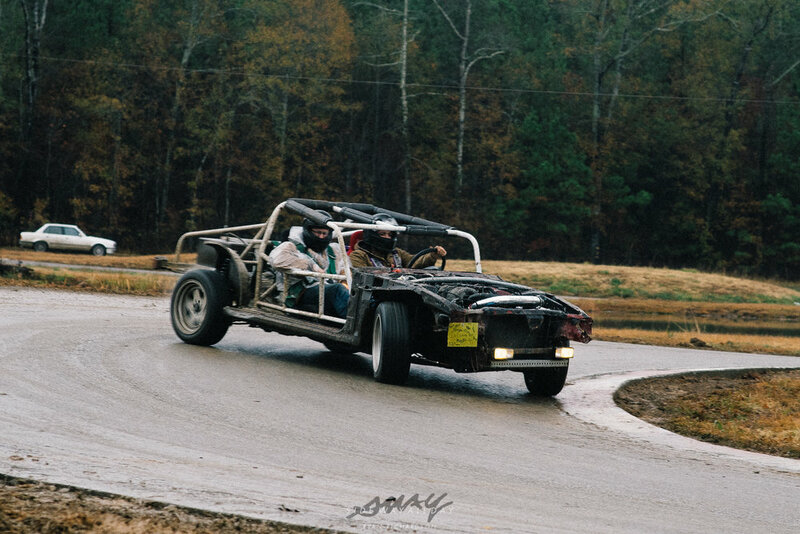 While most families are traveling during holidays to sit by the warm fire enjoying their Black Friday purchases, local drifters gathered from all over the South for a "Brown Saturday" filled with rain and mud to spend time with friends and significant others a.k.a. our cars. At this two-day event, everyone battled harsh weather conditions with the slightest affect on their spirits and that of the spectators showing their support. It was everything you'd expect from an exciting event with nobody getting hurt. Bumpers were flying off, suspension parts were snapped, mud was spewed as cars slid off track, and engines caught on fire. Luckily everybody was ok. 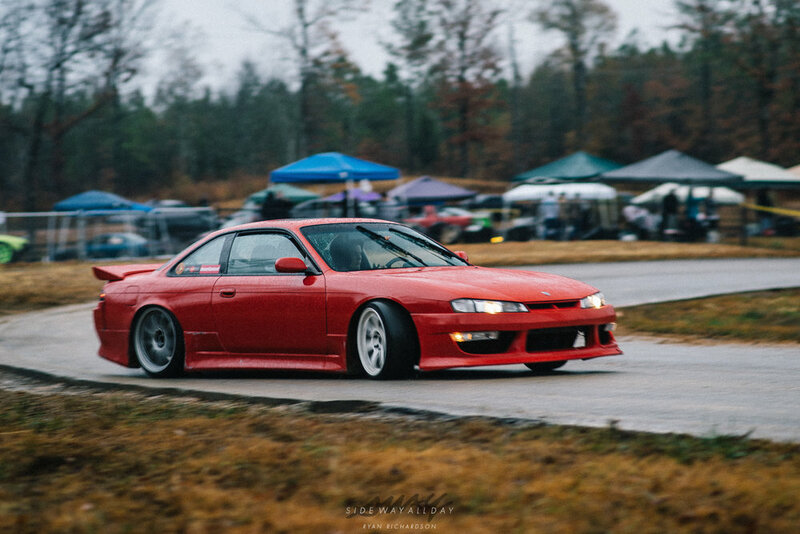 I had a blast throwing my car around in and out of the mud, all day. 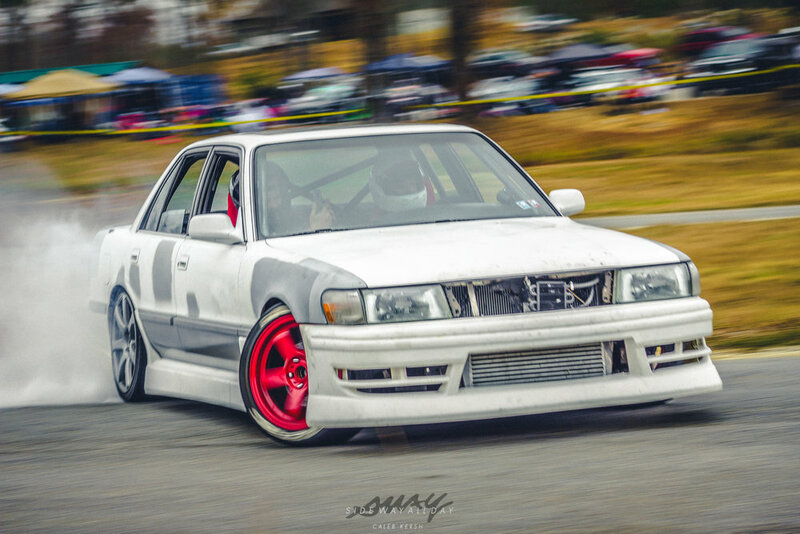 Of course, I was snapping some pics for the gram @sidewayallday. Enjoy this is set of photos and see you at the next one! 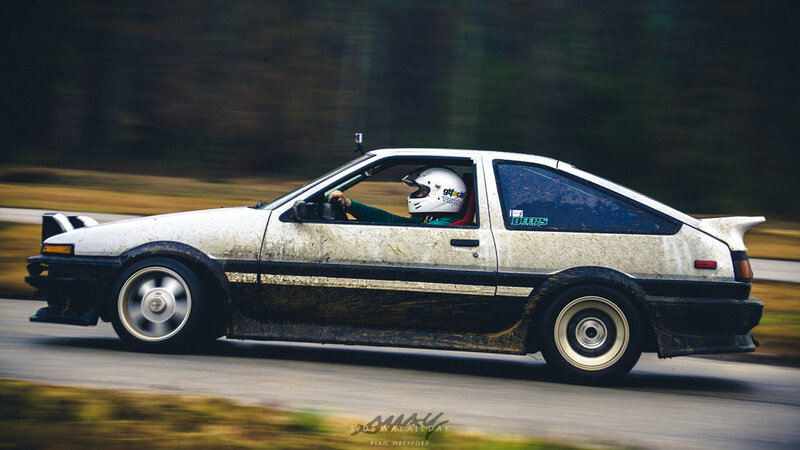 Professional driver, Tony Shulz was shredding in this ae86. 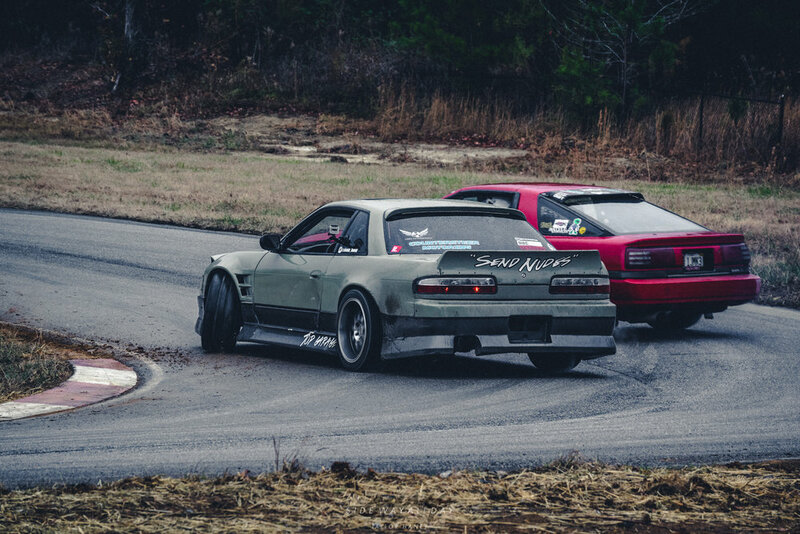 Pro-Am drivers were killing it on Saturday and putting down some close tandem runs. I think the sign reads, you may get wet on this ride. With such a tight track to maneuver around and technical corners to link, drivers were performing at a high level, while staying alert for cars spinning out in front of them. 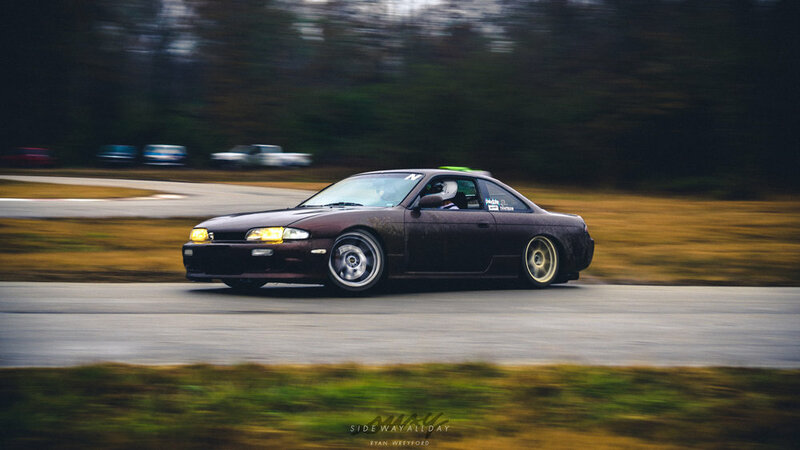 Sebastian's R32 is just beautiful. Midpond Circuit features a pond in the middle of the track, leaving little to no room for error on this sweeper. 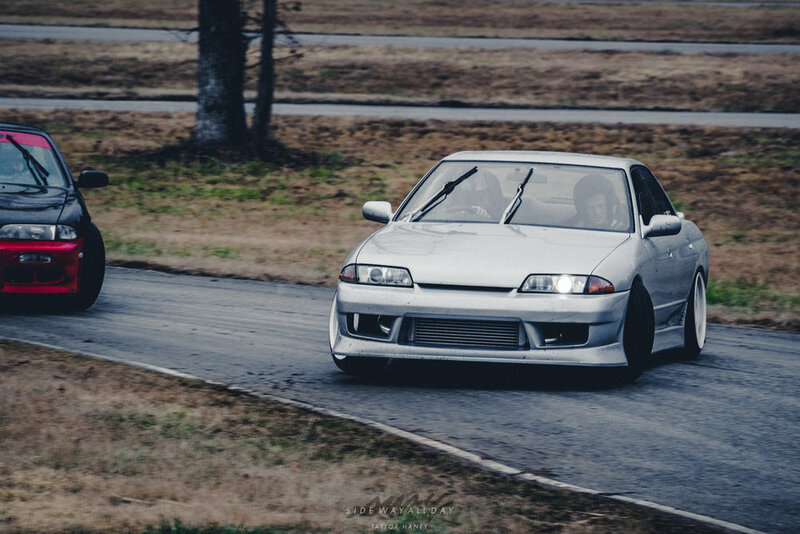 This clean 4 door R32 wasn't afraid to go door to door with all the missile cars. 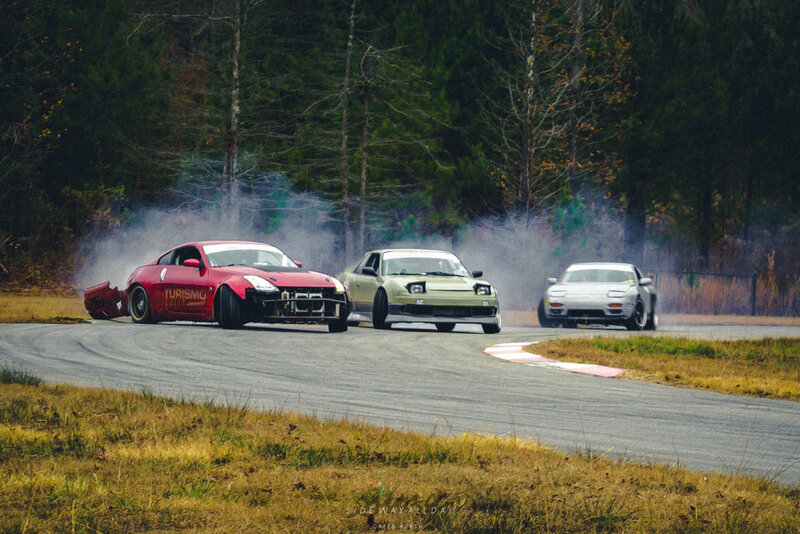 Local crews and pro-am drivers were lining up with each other and with an open lap format, tandems trains were forming three to six cars deep, in the rain. I couldn't help but to do some finger painting on my car, which was almost completely brown on both the sides, by the end of the day. 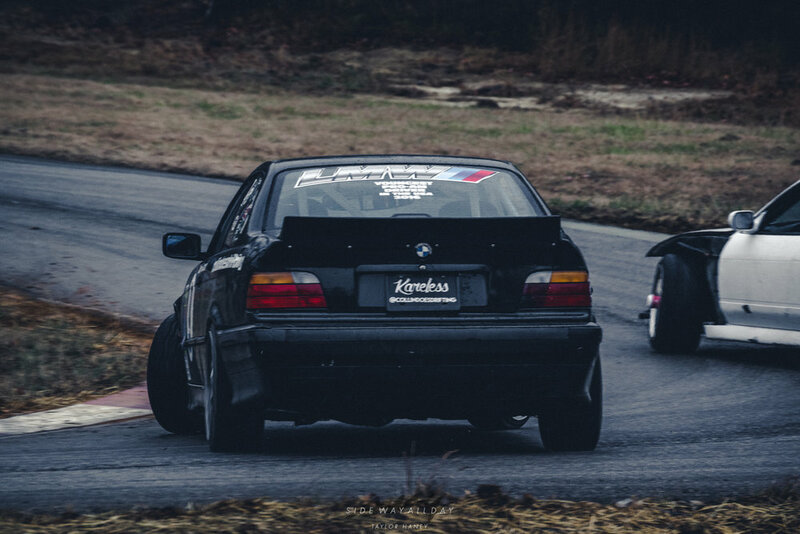 That camber setup though. Luckily nobody was hurt. We can't thank iTrack Motorsports enough for hosting this event and we look forward to cover their upcoming events in 2017. Let us know what you think of this event. Smash the Like button, Share it with your friends and Comment below. Sway with us and Subscribe to stay up on new features. 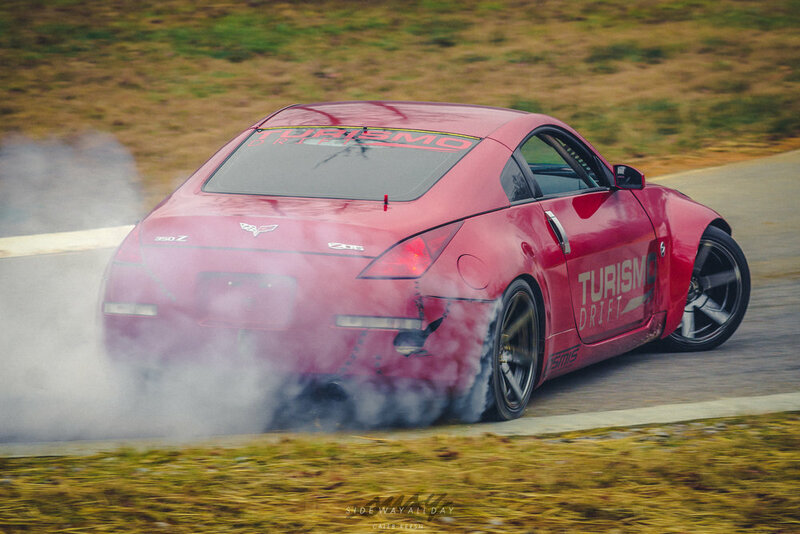 Since 2008, iTrack Motorsports has been putting you and your car on track for less! We are excited to bring our HPDE back for the 2015 race season! If you are new to track events, an HPDE (High Performance Driving Experience) is the place for you. We provide a safe and fun atmosphere for everyone. iTrack keeps allowed entries to a minimum to make sure you get the maximum amount of seat time. Each event we host will have trained instructors for all novices to help get them up to speed. Our events give you the most seat time for your dollar with sessions going out every 20 minutes. No matter if you are a pro driver or team looking for seat time, or a novice wanting to see what the fun is all about, iTrack Motorsports is the home for you!